I believe that “Un-employability is a bigger problem than un-employment.” To make one eligible to apply for a job and to be successful at the job, he/she needs to exhibit a mix of skills: “Employability Skills”. What does an employer looks for in a person when he/she is hiring? Employers are often looking for skills that go beyond qualifications and experience. For employers, getting the right people means identifying people with the right skills and qualities to fulfill the role and contribute to the organization’s success. I myself search for a mix of skills like confidence (not over confidence), good communication skills, authenticity, positivity and passion, when I am taking an interview. 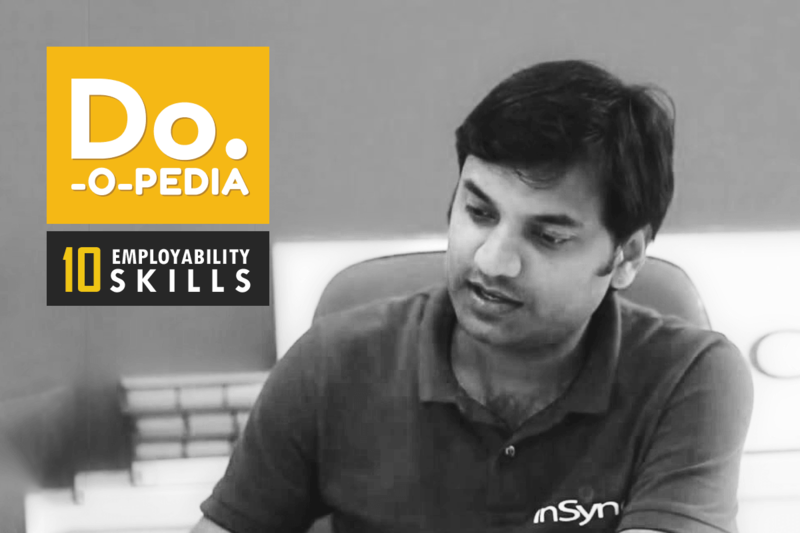 I and my team at Inspiria took an initiative to hand-craft with the help of an Employability expert, a booklet containing 10 Employability Skills (with details and explanations) essential for achieving success in one’s career!